Back before terms like work/life integration and work flexibility became part of our lexicon, I found myself questioning why it was so challenging for colleagues to be granted time-off for family needs. I knew working mothers who wanted flexible work options yet few companies were open to the discussion. I saw working parents struggling for something that I thought should be a “given”—time. Time to attend a school event. To tend to a sick child. To chaperone a school trip. Sure, people took vacation time and used sick time and yes, it was before laptops were as commonplace as toothbrushes, but something about the lack of flexibility in the workplace simply didn’t sit right with me. I decided to do something about it. With some business experience under my belt, I started a flexible work options referral service to match corporations wanting to retain or recruit top performers on a less than full-time schedule (usually due to budgetary constraints) with professional working mothers seeking telecommuting or job-sharing work arrangements. The learning curve on the business side at that time was steep, yet some would listen and still others signed on. I felt passionately about helping working parents attain some balance between their professional and parenting lives so that the “either/or” choice would become a thing of the past. And then I, too, became a parent and the struggle took on a very personal dimension. I already felt strongly about the difficult choices many working parents were facing—to be an “all in” employee or parent—and it was a choice I was neither willing nor going to make. So, like all life decisions where we get and give, I was only too glad to make the sacrifices needed to continue running my own consulting practice—the lack of a predictable schedule, the need to work late at night when my child was asleep, conducting business from my car while waiting for school dismissal. No matter the challenges and additional sacrifices, having to choose between my work and my child was a no-go. I believed (and still believe) that no parent should. When, several years later, I re-entered the corporate arena in a human resources capacity, I was clear about one thing: workplace flexibility was a non-negotiable benefit. One that would be used prudently yet would be used nevertheless. And then life took another turn, requiring far more of my time and focus on my child’s needs than my job. The choice for me was simple. My child came first and my professional life would need to adapt accordingly, so I said goodbye to the corporate world and returned to consulting. Fast forward to today. 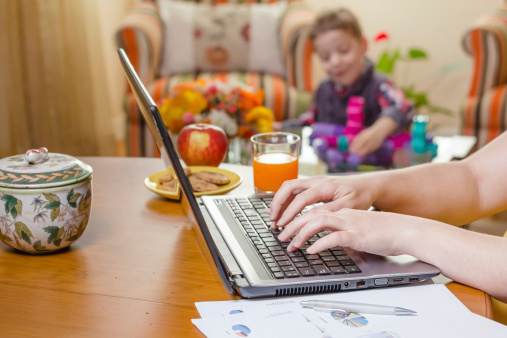 It’s true that many companies are integrating workplace flexibility with less resistance, yet the reality is that many working parents are still struggling with the same difficult choices—the traditional vs. the workable. The job or their child. And while we’ve certainly made progress, it remains an issue—actually, a stumbling block—that creates difficulties for business and families alike. We’ve all heard statements like, “This is how we’ve always done things” or “If it’s extended to you, everyone will want it.” What these statements fail to acknowledge is that each working parent is an individual, meaning needs will differ. And while we talk about change, resistance remains its partner for fear of what change will mean. Yet in this arena, the reality is that change means benefits for both business and families. Back when I was in my 30s, I thought that flexibility should be a “no-brainer,” that a parent who needed time should be able to take it as long as communication and expectations were clear and deliverables were met. Today I feel similarly, yet the costs associated with rigidity vs. the benefits of flexibility are far clearer. Companies that resist flexibility are paying the price with high turnover, costs of replacing workers, and the lack of engagement for those who remain. Working parents are feeling the strain across the board with productivity and health being impacted. And children, often the overlooked players in the process, are needing more time and attention from their parents today than ever before. More often than not, common sense trumps policies. Companies need top performers. Parents need and want time. And the next generation of workers will expect the flexibility that today’s working parents continue to struggle so hard to achieve. So I can’t help but wonder—will my child’s future employer benefit from the time I was able to devote to him during his formative years because I had the flexibility to do so? Only time will tell.